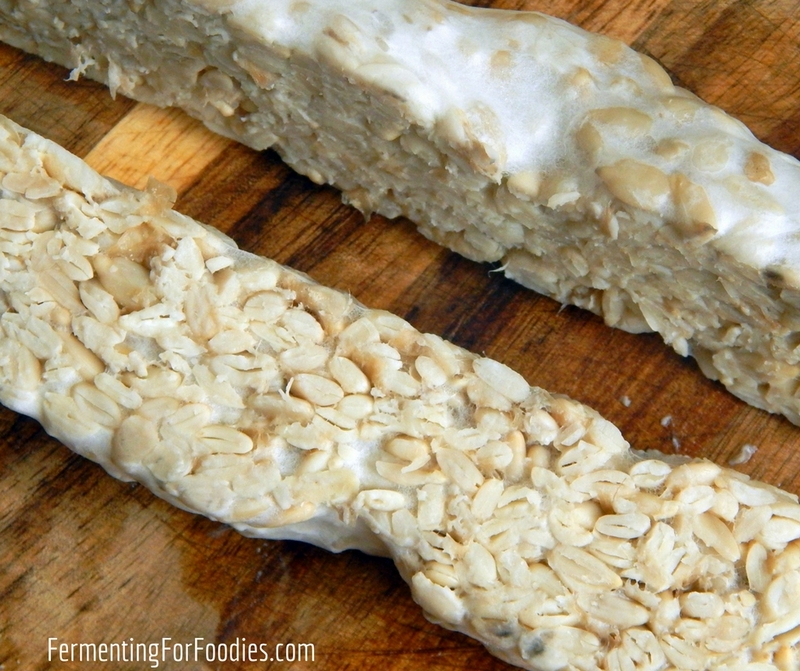 Homemade sunflower seed tempeh is nutty and delicious. It is the perfect vegetarian and vegan protein. 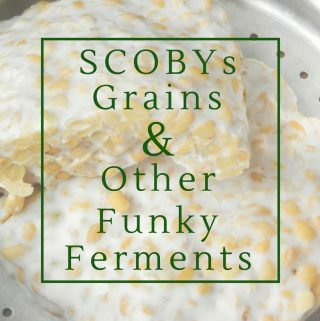 Since it is firmer and crunchier than traditional soybean tempeh, it is great for barbecues, stir-fries and sandwiches.
. You only have to buy it once because it’s easy to make your own tempeh starter. 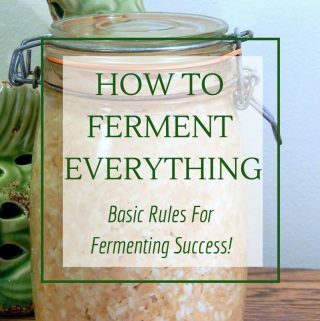 Fermenting Container: Tempeh needs to be spread out in a 2 cm thick layer in a vented container for fermentation. If you plan on making a lot of tempeh invest in a plastic container, otherwise, use a plastic bag. Use a pushpin to poke holes at 1 cm intervals so the container/bag is properly vented. set to the right temperature. The only trick is to measure the temperature after 12 hours, because tempeh starts to self-generate heat as it ferments. Bring the sunflower seeds to a boil and simmer until the seeds are soft (about 1 hour). Drain the sunflower seeds and allow them to cool to just above room temperature. Mix the vinegar with the sunflower seeds (to lower the pH so that unwanted bacteria won't grow). Sprinkle on the tempeh starter and mix well. Check the seeds after 12 hours. At this point the mold will have started to grow and the seeds will start generating their own heat. Depending on what you are using for incubation, you may need to lower the temperature. Refrigerate for up to 1 week. See notes below for information on how to steam tempeh. -Black and gray spots may appear on the tempeh. These are the mold spores, and they are completely edible. The tempeh should smell nutty, mushroomy and it might have a hint of ammonia. I have never had a tempeh failure, however, if your tempeh smells bad, is mushy or slimy then throw it out. Raw tempeh is creamy and delicious. The mold is reminiscent of Brie or Camembert. Fresh tempeh needs to be eaten with 3-5 days, because the mold will continue to grow, even in the refrigerator. Generally tempeh steamed before eating. Steamed tempeh will last for a week in the fridge and it can also be frozen for up to three months. Steam tempeh either in whole blocks or cut into smaller chunks for 20 minutes. You can steam in a steaming basket or in a metal colander over a pot of boiling water. Here’s a close up of freshly steamed sunflower seed tempeh. This is a very helpful blog. I see somewhere you wrote that the fermentation needs air (or something like that). If I ferment in a cooler box, but keep the cooler box sealed for insulation to maintain the temperature, will that give the spores enough oxygen? I guess the cooler box is about 30litres so there will be plenty of air – it just won’t be circulating. Tempeh doesn’t need circulating air, it just needs to breathe. The cooler should work, especially if you take the lid off to check the temperature. 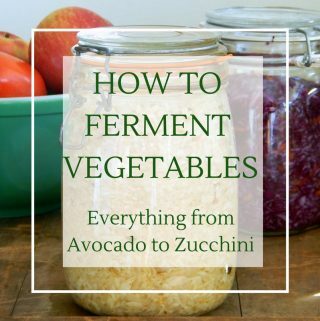 It will start to heat up as it ferments, so you might not need the lid at all towards the end. Good luck! do you know of anyone adding nuts to tempeh? I’m feeling a batch of adzuki with crushed walnuts coming soon. I haven’t tried it. But why not? Just boil them like sunflower seeds to get rid of the surface molds. Walnuts are soft like sunflower seeds. Let me know how it goes! Boiling toned down the walnuts, they give a slight nuttiness to the pink beans I used. Quite good and something that won’t be in stores. Nothing like playing with your food. Great! Thanks for sharing. I’ll definitely have to try it sometime. 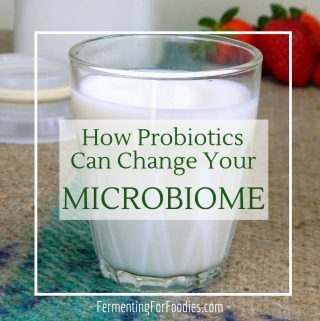 You can marinade it after you finished fermenting and steaming it. 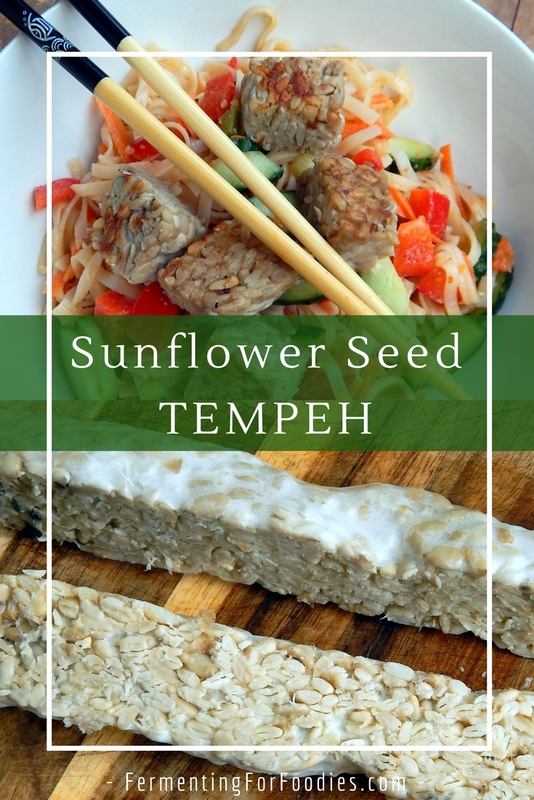 Sunflower seed tempeh is my favourite. So nutty and delicious! Hi Emilie, if I want to add raw sesame seeds and pumpkin seeds, do I need to boil them too? I would simmer pumpkin seeds in exactly the same way, then add sesame seeds for the last 5 minutes. The sesame seeds won’t stand up to longer boiling, but they need to be sterilized. You don’t want to accidentally grow some other sort of mold with your tempeh.